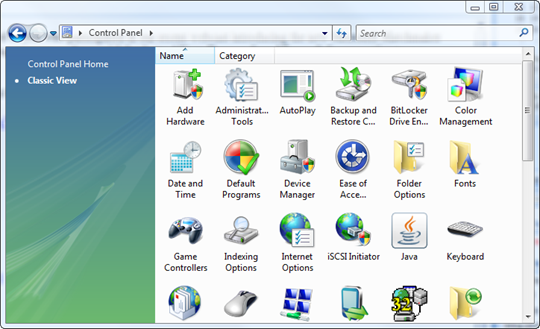 What is the first thing you do when you open the control panel in Windows Vista? I always switch it to Classic View and most people I know do the same. Microsoft got it so right with the Classic View and I cannot understand whey they are trying to convince people to move away from it. This is what Classic View looks like in Vista. So what did I do when I opened the Control Panel in Windows 7? Yup! I wanted to switch it to the Classic Mode. The way I achieved my objective is a little different than how it is done in Vista.